It's A Dan's World: AFTER THE BIG 3, WHAT MARVEL TEAM SHOULD BE 'REBORN' NEXT? AFTER THE BIG 3, WHAT MARVEL TEAM SHOULD BE 'REBORN' NEXT? In '09, Marvel threw Dale Englesham and Jonathan Hickman at the Fantastic Four, causing mass acclaim when they stepped back and looked at what had stuck. In 20-10 it's the turn of The X-Men, in Second Coming, then The Avengers restart, with three new #1's; Avengers and Secret Avengers in May, plus Avengers Academy in June. Sorted. Now, let's look at who should be next. 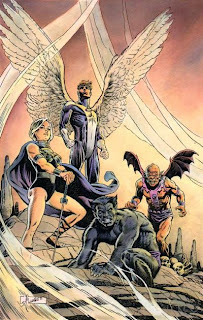 One of the best things to come out of the 90's, writer Fabian Nicieza's tales of a gang of young heroes trying to do right by the world but getting slammed from all sides, was good solid stuff - and sadly never quite the same after he left. How can Canada's premiere super-team struggle with popularity? It's got shadow Government departments, characters with massive powers and inflammatory personalities, and makes for a refreshing break, from the over super-hero populated skies of Manhattan. More people should be missing this book! Comics ultimate "non-team" featured a handful of individual heroes, like the Hulk and Silver Surfer, who had no real connection or place working side by side, but often saved the world by doing just that. Teams should get on? Not if you are The Defenders - and that point alone made them a fun read. TOMORROW ON IADW: Making A Mark - The Latest Deviant Art Find! 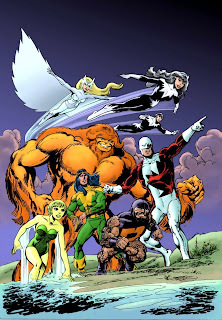 As much as I'd like to see the Defenders, which would be THE perfect book for Greg Pak & Fred Van Lente with Rafa Albuquerque on art, it's gotta be Alpha Flight. 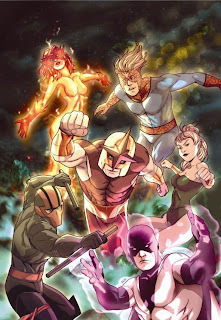 Yeah Doug - Alpha Flight would be my pick of the bunch too. Though I gotta admit it was hard to leave out the original Excalibur... or MI5 for that matter. Maybe Captain Britain could move to Canada for a few issues? !